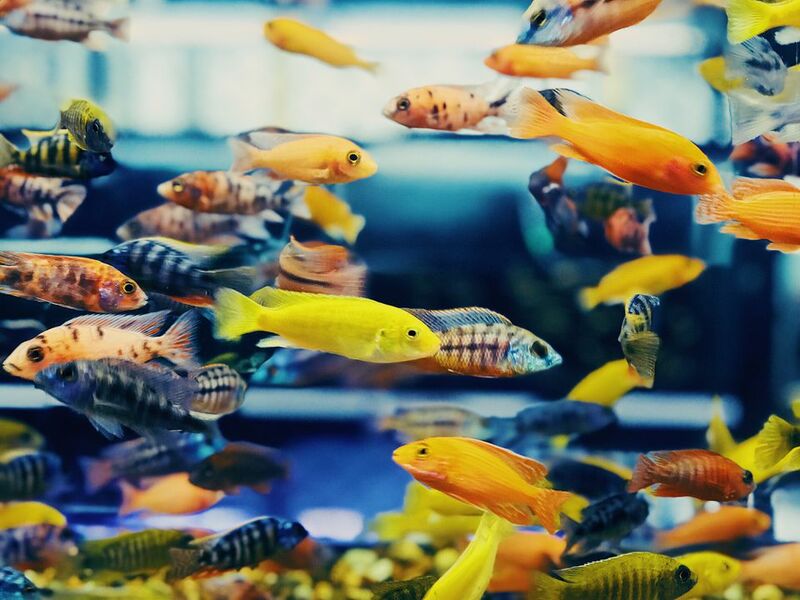 Properly acclimating any new fish or other critter addition to your saltwater aquarium is probably the most important thing you can do to ensure a smooth transition from the bag to your tank. Although fish or invertebrates, such as shrimp which are very sensitive to rapid water parameter changes, may not be under stress and might do just fine without acclimation, why take the chance? Proper acclimation takes little of your time and will eliminate the disappointment of having to watch any new fish or other marine livestock introduced to struggle or just sink to the bottom of your tank and lay there after you drop them in. Even bringing home a new critter from a LFS (Local Fish Store) that may only be minutes or hours away can create stress. A saltwater hobbyist once told me of bringing home a shrimp from his LFS, hanging the bag in his tank until the temperature of the water in the bag was the same as in his tank, he put the shrimp into the tank and a few minutes later the shrimp was lying dead on the substrate. He took the shrimp back to the LFS and was given a replacement. He took the new shrimp home, followed the same acclimation process as before and ended up with another dead shrimp. Once again puzzled, the hobbyist decided to check his tank pH, which came out at a healthy 8.2 reading. Following that he went back to the LFS and tested their pH, that came out at 7.7, the difference of which was obviously more than enough to cause pH shock and kill the shrimps. His third try with another shrimp was successful after taking the time to properly acclimate the shrimp before introducing it into to his tank. Fish and critters which have been shipped by mail order will be under additional stresses, as they are usually in the bag for at least one day. From the time they are put in the bag, the pH of the packing water will start to drop. Add to that the factor of ammonia build up in the packing water if the shipper doesn't use an ammonia buffer and you have a fish that is under stress when you get it. After years of receiving a large number of fish from the South Pacific, we found that we could successfully acclimate fish which were gilling heavily and laying on the bottom of the bag. It only took a few minutes (O.K., more like an hour in the worse cases), but it was very satisfying to see a nearly dead fish up and swimming happily around in the bag, ready for introduction into our system. Acclimation helps to reduce the changes of stress-inducing diseases like saltwater ich to pop up. A choice of acclimation should be made before bringing any new additions home, and whether you decide to use our measuring cup method for dummies, or one of the others, each procedure allows your precious new critters to adjust to four basic things that cause stress: Lack of O2 (oxygen), drastic pH and temperature differences, and in most cases ammonia build up in the bag. Acclimating saltwater aquarium fish with the drip line method is one of the most time-consuming acclimation methods, but it is probably the best if your intent is to transition the water parameters from what is in the shipping bag to what is in your aquarium system. The drip line method once set up and turned on is something that you can walk away from for a period of time, just letting it take care of itself. We have seen aquarists who have used the drip line method and take all night to acclimate new arrivals, some of which were pretty stressed out when the arrived. The next morning, everything was swimming around and totally stress-free. It all comes back to taking your time and not rushing things in this hobby/industry.